Everest Base Camp Trek in October Doable? Home / 10 Best Treks in Nepal – The Ultimate Guide for Trekking in Nepal / Everest Base Camp Trek in 2018: The Ultimate Guide / Everest Base Camp Trek in October Doable? 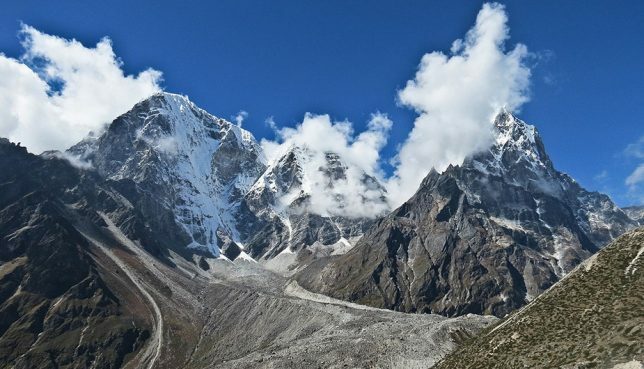 The autumn of Everest Base Camp is the season of perfect climatic conditions, friendly people along the trail of the trek as well as glorious views of the mountains during your trek. Is there anything more you want out of your trek? October is in the middle of the autumn season in Everest Base Camp. The daytime, as well as nighttime temperatures, are moderate and the precipitation in this month is inching towards the minimum in the year. This makes it a popular time for people across various countries come for trekking in the Everest Base Camp. October is the month comes to mind for any traveler looking for a cozy time trekking. If you are someone who absolutely enjoys a healthy number of fellow travelers along your treks to share some travel experience, look no further than the month of October. The fact that there are many people along the treks means that there will be a great deal on offer in terms of learning the culture as well as tradition of the place with interaction. The restaurants, as well as tea houses, buzz with people creating a great atmosphere before, during and after your treks. The greatest festival in Nepal and the most celebrated one too, Dashain as well as Tihar falls in this month. This means that people rejoice meeting their families and this creates a homely environment in the country. So, when you are gearing up for your trek in Kathmandu, Pokhara or any other places that you are in, you are bound to get the glorious religion and culture celebrated in Nepal in all its glory. Moderate climatic condition means that you’ll not feel the effect of the bitter cold of winters. Similarly, you will also get to experience the hot of summers. The summer heat means that there are chances of monsoon rain making the trail a bit slippery. You won’t have to deal with these hassles in the month of October. It shouldn’t come as a surprise that the views in the month of October are some of the most scenic in the month of October. If it was not true, do you even expect so many tourists to flood this trekking region? Scenic views mean that the pictures you will take will be crisp in nature. They will be wonderful memories to be cherished all your life. Gokyo valley comes to life in the month of October. Perhaps the most scenic valley in a trekking region, Gokyo valley is an awesome valley surrounded by snow-capped mountains. To add to that, the mesmerizing Gokyo lakes are bound to take your breath away. Sagarmatha National Park is a home diverse alpine vegetation. So when you walk along the National Park, you will come across various lush trees as well as wonderful rhododendron forests in the brightest of red and other beautiful colors. Nobody would want to take any chances with the climate while trekking. And you are no different. You will want to trek in the region that is most comfortable for your body to trek. The month that facilitates a comfortable trek is the month of October. Yes, there are a few places such as Gorak Shep as well as Lobuche where the temperature gets below the freezing point. But those are temperatures that the mountains offer you. Furthermore, the temperatures above are not temperatures that unbearably low!! Proper gearing up will help you keep warm even in these temperatures. Your gear will comprise of many things besides clothing. Multi-layered clothing will be beneficial to you as it will help you put on or take off extra clothes. Clothing should consist of the base layer, insulation layer and the outermost layer. You will also need sleeping bags, trekking poles as well as good trekking boots. Lotions to protect your skin from the UV rays are compulsory and so are woolen hats, gloves and socks. Guides and Porters are going to help you get through your trek by guiding you along the safest trails. They will continuously give you safety tips as well as much needed relief of not carrying your bags. You can get hold of a guide with many travel companies that offer you great travel packages to the Everest Base Camp trek. Fatigue, lack of proper diet and hydration are the main causes of altitude sickness. 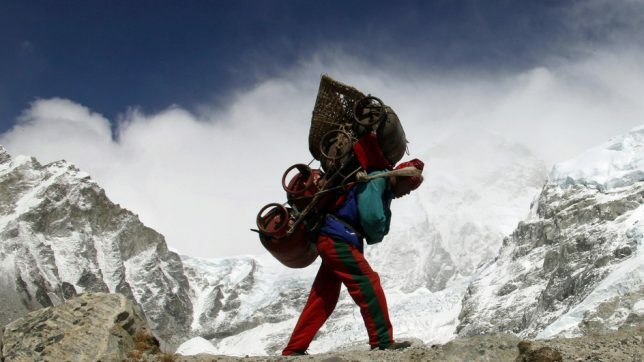 Once you shed your load to the porters, the risk of altitude sickness is also minimized. Travel Insurance is a good measure to take to prevent you from all the bad things that can happen to you on your treks. You can never be sure when the altitude sickness will get you and evacuating you from the Everest region from a helicopter might cost you 5000$-10,000$. Besides, there are also risks of travel theft or flight delays. There are various travel companies such as Nomads, Travelex that provide travel insurance. Make sure that you check with these companies as to what things are covered by your insurance. One thing that you should not discount is the importance of physical preparation before your trek to the Everest Base Camp. The physical training that you will undertake for a few months before your trek will give you mental strength while trekking as well. In addition, your training regime will also encourage you to have a better diet, which is of utmost importance while you trek. Dehydration, as well as lack of food to replenish the calories lost while trekking is the major causes of altitude sickness. 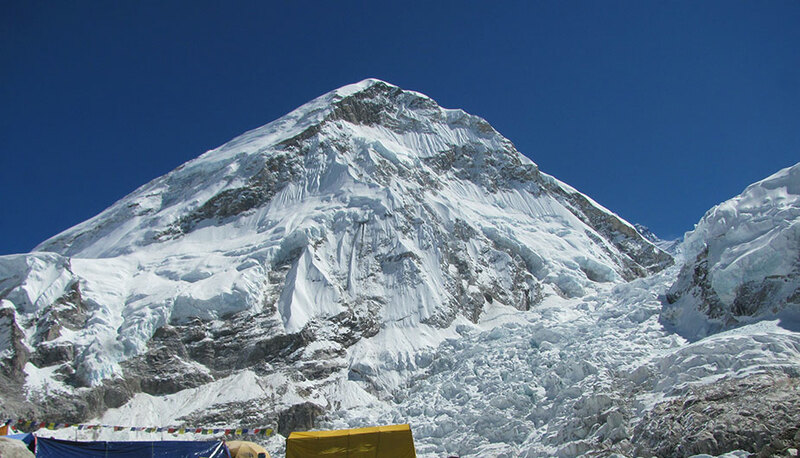 So, prepare well before your trek and train well to undertake to complete Everest Base Camp. 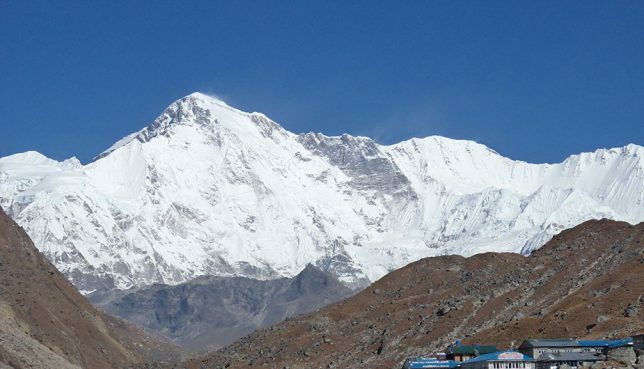 Everest Panorama trek is one of the shortest treks in the Everest region. You will not go to the Base Camp but other beautiful places in the Everest region such as Namche Bazaar, Lukla, Phakding, Tengboche Monastery will not be out of reach. 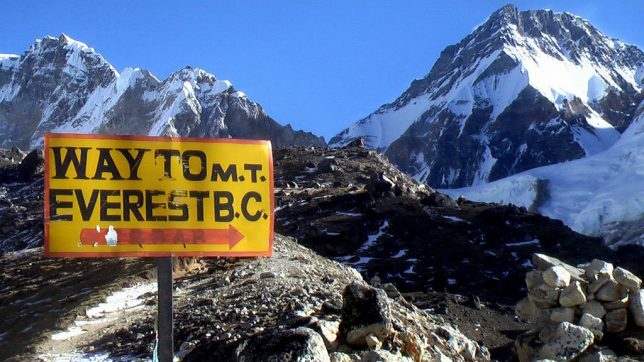 For beginner trekkers wanting to do a light trek and possibly prepare for a future trek to the Everest Base Camp, this is your starting point. This is a perfect combination of a light trek and a flight from Namche Bazaar to the Everest Base Camp. The total number of trekking days in the Everest is a few days and you don’t have to worry about missing Everest Base Camp too if you opt for the Everest Base Camp Helicopter trek. This is for someone who doesn’t want to trek in the Everest region but wants to view the awesome mountains in the Everest region. 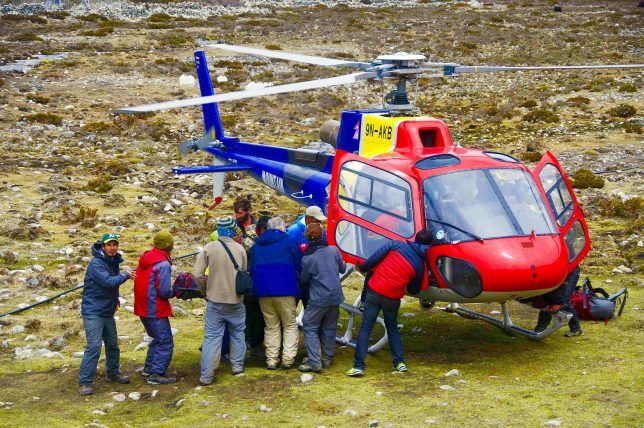 With a money back guarantee if the flight doesn’t take off, medical facilities by charting you in case of an emergency, and the option of a private tour or joining a group, what is there not to like about the Everest Base Camp Helicopter tour? Gokyo, a splendid valley, home to splendid mountains as well as water resources, is a dream of a valley to go to. So you can go for the Gokyo valley trek which will last 15 days. Gokyo Valley trek and Renjo La Pass trek is another trek around the same area that lasts for a similar period of time. After having said so much about the EBC trek in the month of October, I don’t have to say anything more to let you know why this is the most popular of all the months for trekkers, do I? The beautiful season, wonderful festivals, as well as scenic views of the mountains, will be waiting to take your breath away. 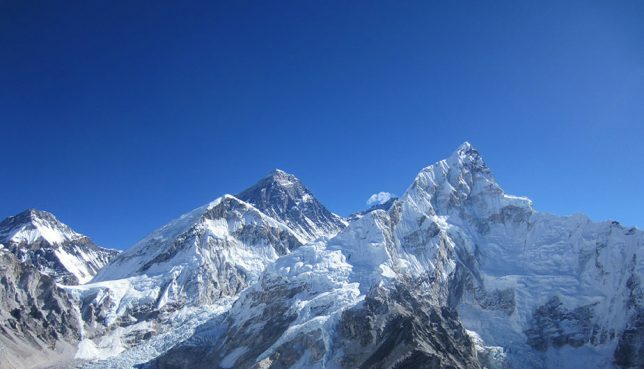 Get ready to be amazed in the Everest region in October! !